Humans are designed to be outdoors - in nature and breathing fresh air. 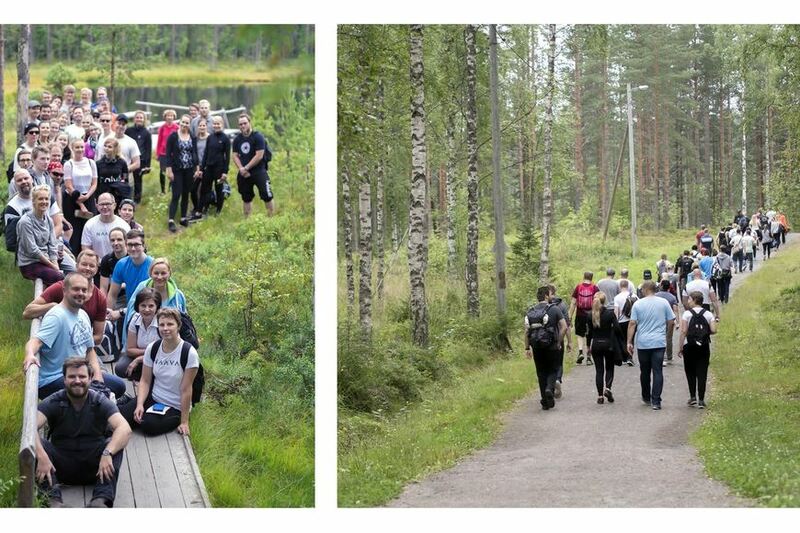 However, whether we live in Helsinki, New York or Seoul, we spend 90% of our time indoors. That’s 22 hours a day! We have in effect sealed ourselves inside homes, offices, schools and cars. Why is that a problem? For many reasons. The air we breathe indoors is not natural. It’s man-made, often contaminated with impurities we can’t see. 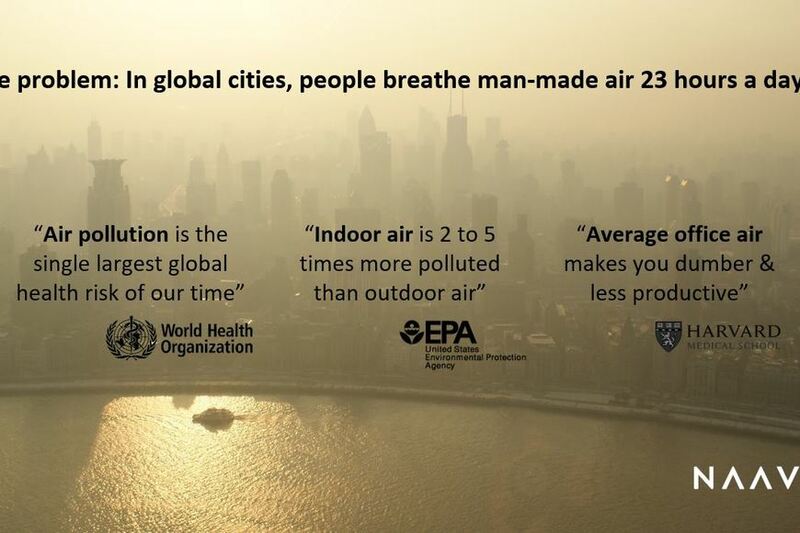 And every person breathes in 10,000 liters of that unnatural indoor air every day, so it has a big effect on us. Indoors we also live isolated from green nature and its benefits. All in all, the environment we have built for ourselves is not beneficial for us when it could, in fact, improve our health. 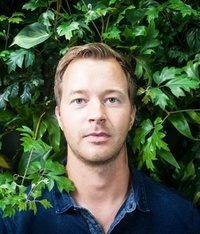 Naava founders Aki Soudunsaari and Niko Järvinen realized this in 2011 and wanted to solve the problem in a natural way, by bringing nature indoors. 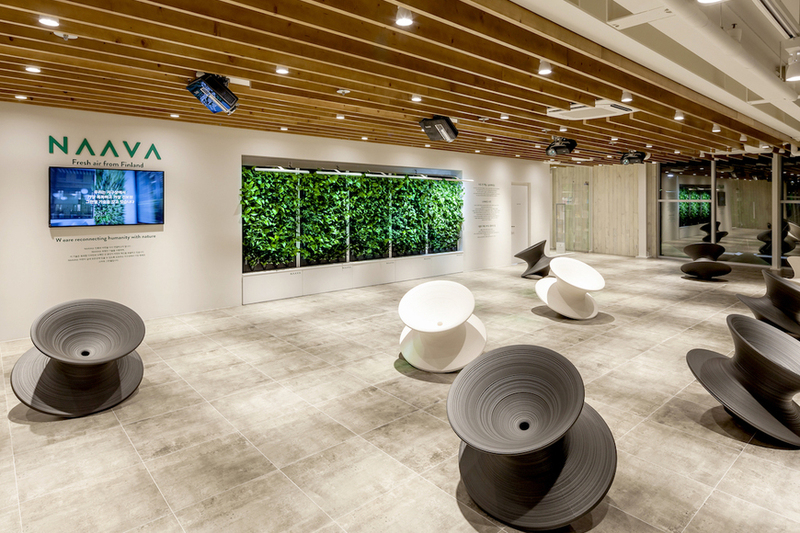 NASA’s research, Aki’s personal experience with indoor air health problems and Niko’s environmental scientist background in biological cleaning of water helped create the world’s most advanced healthtech furniture and biological air-purifier: the Naava green wall. 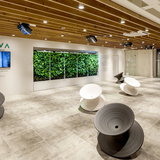 Today in 2018 Naava is the global leader in green walls with 2000 Naavas in the Nordics, the US and most recently in South Korea with plans to expand globally. Naava was 689th fastest growing company in Europe (according to Inc 5000 list), and had €3M in sales in 2017, out of which 30 % is recurring service revenue. With this unique innovation, Naava is disrupting three global markets: the $9 billion interior landscaping market, $29 billion air purification market and $50 billion office furniture market. Check the following videos on why Aki founded Naava, how does the biological air purification actually work and why nature's greatest gift is air. WHO: Air pollution is the single largest environmental health risk of our time. EPA: Indoor air is 2 to 5 times more polluted than outdoor air. HARVARD: Average office air makes you dumber and less productive. Naava’s mission is to reconnect humanity with nature in the built environment. We do it by accelerating millions of years of natural innovation with future technology and Scandinavian design. As urbanization continues we want to enable 1 billion people to breathe nature’s air across the world’s megacities, with the help of Naava’s technology. Poor indoor air is having a serious and damaging health impact on millions of people, daily. Naava believes that healthy air should be a human right. The air we breathe will be the next global health trend, after food and water. With the help of Naavas we want people to be healthier and happier. We are committed to create human-friendly offices and homes, building by building, city by city. To make this happen, we are partnering with mission-matched companies in global megacities in Europe, North America, and Asia. Nature, air quality and health. Wherever nature surrounds us, we have fresh air. We feel happier, healthier and more energized. Today, healthy air is a privilege. It has been estimated that by 2050, 66% of the world’s population will be living in urban areas (UN). Today, over 90% of the people living in urban areas are exposed to air quality that exceeds the limits set by the World Health Organization. 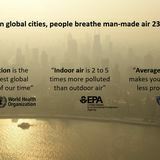 Due to the mass urbanization, people are more and more alienated from nature, and are forced to breathe man-made air instead of fresh nature’s air. Health awareness is a clear trend where people pay attention to what they eat, drink and how they keep their bodies fit. The next clear step is paying attention to what we breathe and and how it affects our health and cognitive performance. The built environment dominates our lives in large cities. People spend 90% of their time indoors. We breathe man-made air that according to Harvard studies can significantly lower our cognitive performance, and 15% of leaves of absence are due to bad indoor air (Seppänen & Palonen 1998). Poor indoor air causes respiratory diseases, allergies, asthma, and sick building syndrome. 30% of new buildings are subject to complaints about bad indoor air due to off gassing chemicals, new materials, glues, carpets and furniture. According to EPA, indoor air in typical buildings is 2-5 time more polluted than outdoor air. A recent study also finds that household chemicals pollute as much as cars. Human-friendly buildings. Urbanization, focus on energy-efficient buildings and people’s urge for high standard of living, mean buildings should answer the biological needs of humans. Building standards like LEED and WELL are making sure that buildings are more sustainable and human-friendly. New buildings use automation, sensors and AI to make them more comfortable and healthier. Naava is a turnkey solution, which can be built in a new building or retrofitted. Service business model. It’s been over 15 years since Microsoft started providing software as a service. The last few years building owners such as WeWork have been offering workplaces as a service, as well as companies such as Martela provide office furniture as a service. 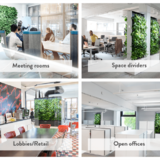 Naava provides Nature as a Service for customers who want to place real nature and fresh air where people spend their time the most - meeting rooms and open offices. Current traction and growth. With Naava, you will invest in a technology company (software, IOT, physical products & service contracts) that has been growing on average over 70% per year. According to Inc. 5000 list, Naava is one of the fastest growing companies in Europe. For 2018, Naava is projecting €4M in sales. The Finnish operational business has been in break-even for the past four months. We have been able to make this a profitable multi-million euro business, with +450 truly A-class global companies as customers. Customers love Naava: we have a 98% contract renewal rate and our churn rate is under 2 %. We’re proud to have customers like Elisa, Estee Lauder, Finnair, Four Seasons, Hilton, IBM, JCDecaux, Microsoft, Nokia, Samsung, SOK and Valmet. The potential is huge in global megacities where air quality issues and lack of nature are top concerns for people. Pre-IPO funding and offering investor-friendly preferred shares. Naava is looking to list the company in around 2020-21 and this crowdfunding round is a part of the “pre-IPO funding” (dependant on market conditions and circumstances outside Naava’s control). Naava offers 1x liquidation preference: in case of liquidation, after all outstanding debt has been paid back, you will get your money back before the owners of B-shares and the rest will be distributed pro rata. In our previous, fully-subscribed crowdfunding campaign to support US expansion, we had over 1200 private individuals invest in Naava (under Naturvention Partners Nordic AB). Technology. Based on findings by NASA, Naava’s unique technology was developed in Finland to solve $500B global health problems. It’s patented and defensible. The strongest competitive edge is the Naava OS software and cloud-based AI solutions. The biggest tech investments are behind us. Team. Naava has an experienced management team with proven global performance history of category leader products and services, at billion-dollar companies, supported by an international board. In addition to the 40 people professional team, we have several world-class partners, such as US wellness real estate pioneer Delos, world-leading interior landscaping company Ambius, South Korean retail leader Sejung and several companies in the architect and design field. 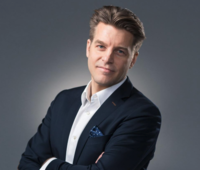 Moreover, we are backed by investors such as Sitra, Butterfly Ventures, Delos, Leena Niemistö, Jaakko Ollila, Hannu Turunen, and Jasper Pääkkönen. Benchmarking successful distribution models. Aiming to achieve 80 % of our revenue from sales, service & distributor partners in 2023. Benchmarking the Framery phone booths distribution model with office furniture companies in scaling with key Framery people now working with Naava. With the partner model also new cities can generate fast positive and sustainable service margin to Naava. The Korean distributor test-bed shows early signs that the market acceptance and the distributor model in Korea enables fast, profitable scaling opportunities and new market expansion without major capital investments. Naava products and service offering. Naava is fully commercial with the most scalable, award-winning healthtech furniture green walls in three continents. Our products are automated and remotely controlled by Naava OS & Naava AI. Naava’s business model is to develop, sell and service Naava solutions by ourselves or by channel partners. Naava offers a combination of physical products (hardware), technology/Naava OS (software) and on-location service. The most bought solution package is what we call “Nature as a Service, or NaaS”. The package includes multiple furniture green walls (hardware) and a monthly fee for the Naava OS (software) and Naava Service for maintaining the Naavas. The business model is comparable to e.g. elevator sales and maintenance, and typically generates a positive cash flow already from new equipment sales. As the numbers and share of units in service increase, it becomes even more profitable through recurring revenue for years to come. 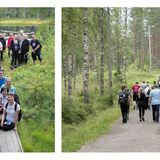 Kone, a Finnish engineering and service company specialised in elevators and autowalks, is a great global example of a company running a similar business model. Naava sales & service. Naava sales can be divided into four types: 1) Direct sales (inbound & outbound); 2) Influencer sales & support: architects & designers; 3) Channel sales: office furniture & facility management companies; 4) Distributors in markets such as South Korea. Naava Service can be divided into two types: 1) Direct service & maintenance; and 2) Partner service & maintenance, by mainly interior landscaping companies, also cleaning and facility management companies. In Finland, we have done everything in-house. We’ve learned during the years that we can do a healthy +50% per year growth using own sales teams and showrooms, but this is not fast enough for us. This is why Naava changed its strategy at the beginning of 2018, and started building a more scalable partner strategy. In 2018 we expect 20% of the revenue to come from sales & service partners. In 2023 we forecast that 80% of our revenue comes from partner sales & service activities. Naava brand. The Naava brand is arguably our biggest individual asset. It is more attractive than ever: WIRED selected Naava as one of the top 100 startups in Europe and the hottest one in Finland, Naava was one of the fastest growing companies in Inc 5000 Europe list, we have won the Fennia Prize award for design, and the 2018 Finnish Championship at Startup World Cup competition. We have also won Finland’s biggest innovation prize in the building industry. World Economic Forum featured Naava in their publication. In 2018 we won Silver at the world’s biggest furniture fair NeoCon in Chicago. In addition, Naava’s website was selected as the best B2B media in Finland and we were a finalist in Interior Design’s Best of the Year competition in the US. 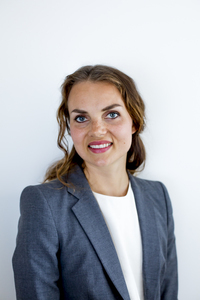 In 2017, we attracted more than 1200 Nordic investors to join as Naava owners in the fully-subscribed 2,2 M€ crowdfunding campaign (under Naturvention Partners Nordic AB). Naava was also one of the Best Places to Work in Finland in 2017. Since 2016 Naava has been featured in over 300 media stories, reaching over 150 million people globally. For example, here are articles by Business Insider, Wall Street Journal, WIRED, and Helsingin Sanomat (in Finnish). Naava customers. Naava has been privileged to work with such a great list of customers. Many of the customers can be categorized as early adopters in health, technology or sustainability. Naava has +450 B2B customers such as (in alphabetical order) Aalto University, ABB, Accenture, Aktia Bank, AMF Fastigheter, AstraZeneca, Cargotec, Carnegie, City of Helsinki, City of Stockholm, Danske Bank, Deloitte, Elisa, Estee Lauder, Finavia, Finnair, Fiskars, Forbes, Four Season Hotels, GroupM, Hanken, HIFK, Hilton, Hintsa, HJK, IBM, JCDecaux, Metsä Group, Meyer Turku, Microsoft, Ministry of Environment, Next Games, NIB, Nokia, Radisson Blu, Royal Caribbean Cruises, Samsung, Scandic Hotels, SOK, Sokos Hotels, Stockholm School of Economics, Stora Enso, Tallink Silja, Technopolis, Valmet, VR Group, Wärtsilä. Current operations. Naava has organized its commercial operations to three companies, the IP holding mother company based in Finland, and its 100%-owned subsidiaries in Sweden and USA. All of the companies have sales teams, showrooms and Naava Service teams & warehouses. Naava Finland has also the global factory and Naava US has a assembly factory. The mother company, Naava Finland, operates also 1) the global marketing activities, 2) product & tech management, 3) R&D and 4) Back Office Global Support for the daughter companies and sales, service and distributor partners on a global level. Strategy summary. We at Naava are passionate about improving people’s health, happiness and productivity by bringing nature’s benefits into the built environment. We do this by providing health tech furniture solutions which energize, reduce stress and improve cognitive performance. Innovative and human-friendly Naava products are scientifically proven and are hassle-free. We work with committed mission-matched partners in global megacities in Europe, North America and Asia, who are driven by the innovative business opportunity with Naava. Naava’s strategic focus is geographic expansion using a city-based strategy: expansion to major city areas with a population over 1 million people and a clear trend in health and wellness. Each expansion is made together with partners and depending on the size of the operation, in-house teams with showrooms. In addition to the current solutions that have been created with the office and learning environments in mind, Naava has ambitious R&D plans to add solutions specifically designed for the homes. We expect this to become a substantial additional revenue generator in the future. Exit thoughts for investors. 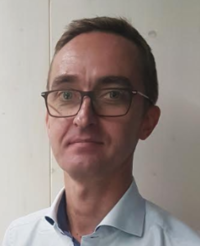 Naava management and board have decided that our inspirational Northern Star goal is to lead the growth, profitability, and its operations in a way that we could list the company in around 2020-21. Naturally, this is dependant on market conditions and circumstances outside Naava's control. We also see that Naava could be acquired by 1) global tech companies such as Philips, Haier, LG, or Samsung, 2) high tech furniture companies such as Steelcase, Herman Miller, and Ikea or 3) global interior landscaping companies such as Ambius. Technology. As a healthtech furniture company, Naava has invested significantly in research & technology development over the last five years and has created a hard-to-copy solution, making Naava a truly unique product. The system bases on multiple innovations and interdisciplinary science to improve the quality of indoor environments. The solution brings together sensor technology, artificial intelligence, selected plant species & processes, and microbial community to form a beautifully designed wellness furniture, which facilitates reduction of hazardous chemicals, also known as Volatile Organic Compounds (VOCs) and particles from indoor air. Naava’s innovation combines technology with nature’s own processes. That is the core of Naava’s uniqueness and what also makes each Naava a true high end healthtech product. 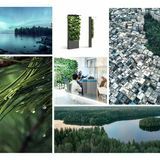 Naava is no ordinary green wall: it's a biological air purifier, humidifier, living wall and when needed, a space divider all in one. The main technical functionalities and healthtech innovations can be summarized as below. Natural air cleaning functionality. The proprietary growth medium in Naavas enhances the air flow capacity and maximises the exposure to activated carbon and microbial communities. The soil-less growth medium absorbs VOCs and enables microbial communities to thrive, degrading organic airborne contaminants. The soil-less growth medium also eliminates the presence of mold and allergens within the system. Biofilter innovation. Plants in the Naava system undergo significant stress due the active air flow of the system. Years of operation experience has enabled Naava to create and optimise a fully functional system. Plants are taken from soil to special Naava pots, a.k.a biofilters. The biofilters are easily handled and replaced during service visits. Biofilter design optimises plant health and lifetime through proper root expansion and air pruning and optimal water retention. Core functioning principles. 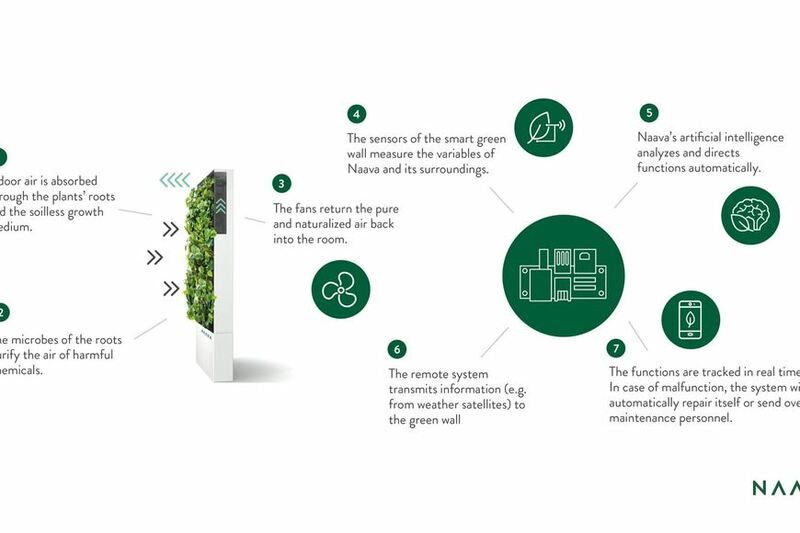 Naava has fine-tuned every operational detail to make the product the best high end green wall. Specially designed LED lights create an optimal environment for plants to grow while enhancing the aesthetics. 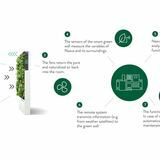 The built-in water tank with self-watering irrigation system operates in accordance to system settings and sensor data, supported with a cloud-based artificial intelligence platform. Sensor data includes for example water level, humidity and temperature. Watering cycles and quantity are optimised for plant health and for indoor humidity optimisation. Fans in the product operate according to the environment conditions. Sensors also deliver warnings for service and environmental conditions, such as low water tank level or too cold temperatures. Science. 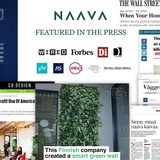 Naava has been researched more than any other commercial intelligent green wall on the market. It’s air-purification efficiency has been validated by several scientific and independent research projects. A study performed by VTT in 2016 confirmed the air purification efficiency of Naava and that the system is biologically adaptive. A published peer-reviewed study by BRE in London showed a high and consistent chemical removal efficiency on a single pass through the Naava system. A research project done on over 500 Naava users has previously proven health benefits to be statistically significant by removing symptoms and experienced hindrances in poor indoor air environments. A Finnish university research proved the Naava system to be far superior to houseplants. A recent Naava case study implicated that in a room with a Naava present, people make less mistakes in cognitive performance tests and their stress level hormones are lower and happiness hormones are higher. Read more on the extensive science behind Naava and the scientific fields which Naava is built on. The company continues research projects with highly-ranked institutions e.g. 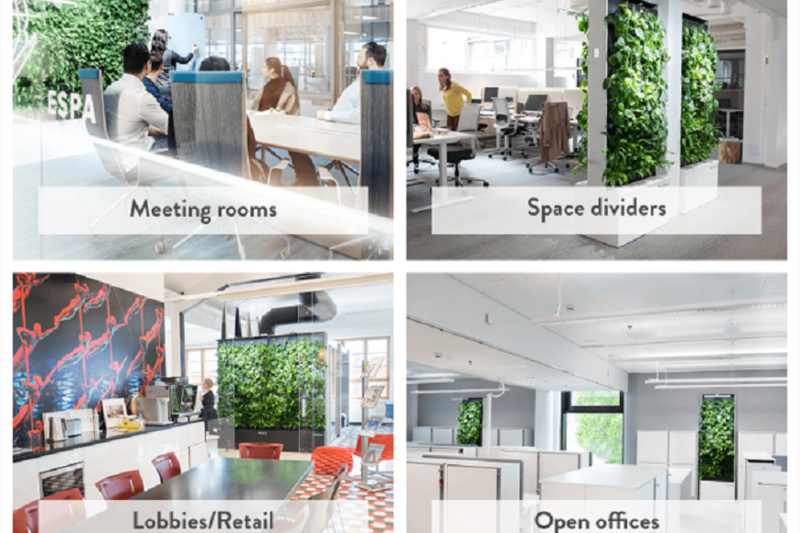 to complement understanding of the impact of natural air & biophilia for human health and performance, and the ROI of Naava solutions in offices with improved workforce satisfaction and productivity. Intellectual property. Naava’s solution and the Naava brand are protected by a comprehensive IPR portfolio. The company has made significant investments in patent filings and trademark registrations. Naava’s key patent (“Apparatus for the growing of plants and a growing device”) has been granted in the EU, and is pending for China, Hong Kong and USA. The patent covers a product in which the air is drawn through the plants’ root system in inorganic biofilters, and the air is pushed back to the space with the help of fans, working as a biological air purifier. Naava name is trademarked in EU, Singapore, China, HK and the US in key product classes. The NAAVA logo is registered in EU, HK and SIngapore, and is being registered for South Korea, China and the US. 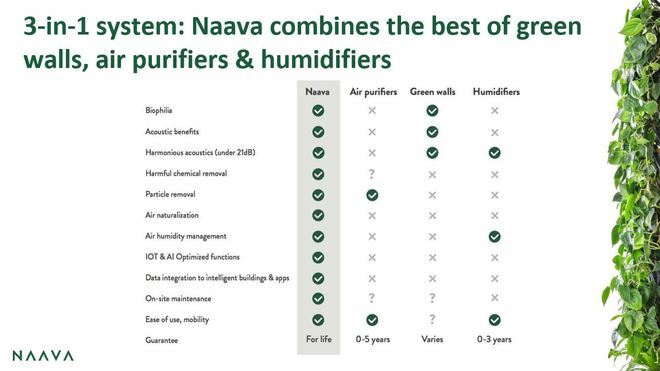 The fact that Naava combines biology and high technology and is built on thousands of R&D hours, in fine tuning the air filtration design, growth medium optimization, water circulation, humidity, pH and microbial activation features of the biofilters, and it takes years for any competitor to develop the same. In addition, working with living nature requires a trial and error approach, and thousands of guinea pig plants, which makes it even harder to reverse-engineer. The patent makes it more difficult for any other company to build a similar, cost efficient and well-designed system. Patents and tech advantages aside, we believe that by moving fast, building our brand and by continuing the tech development, we are able to stay ahead of any competition in this emerging new market. Naava has its global assembly manufacturing, the Naava Factory, in Jyväskylä, Finland. The factory includes assembly production line, biofilter production line, greenhouses for quality assurance, R&D labs and a warehouse for inventory. The factory gets parts for the final assembly from a few dozens of subcontractors mainly from Finland and some from the Baltics and China. Its capacity is to provide hundreds of products per month, and another assembly line can be set up with very reasonable costs when the demand surges. Naava aims to install the standard stock products within 4 weeks from the customer’s order, and customized or orderable products within 8 weeks. As a living plant constitute a core part of each biofilter, there are limitations for the biofilter shipments. Customs control for plant imports and long transportation times prevent global shipments. Therefore, a new biofilter production line is needed when opening a new geographical region such as Central Europe. Currently, Naava’s biofilter production is centralized in the Nordics to Finland and in the US to Florida. In South Korea, local biofilter production has been set up by Naava’s partner. In the longer term, with expansion to Central Europe, a biofilter hub in the Netherlands is needed. To efficiently run the service operation and biofilter logistics, Naava has warehouses and service centers in Jyväskylä, Helsinki, Stockholm and New Jersey. Service teams install products, operate the service and support service partners in the area. In the future, the service centers in new cities will be mainly run by partners and Naava will focus on providing the tech, training and global support. Naava is prospering and benefitting from the growing wellbeing trend, a new wave of technology development (AI/IOT) and a need for clean healthy air in global megacities. Investments by companies in work environments, office spaces and real-estate are increasing alongside a growing demand for innovative new ways of attracting and keeping talent. Health, wellbeing and nature in the built environment are key focus points in these investments. 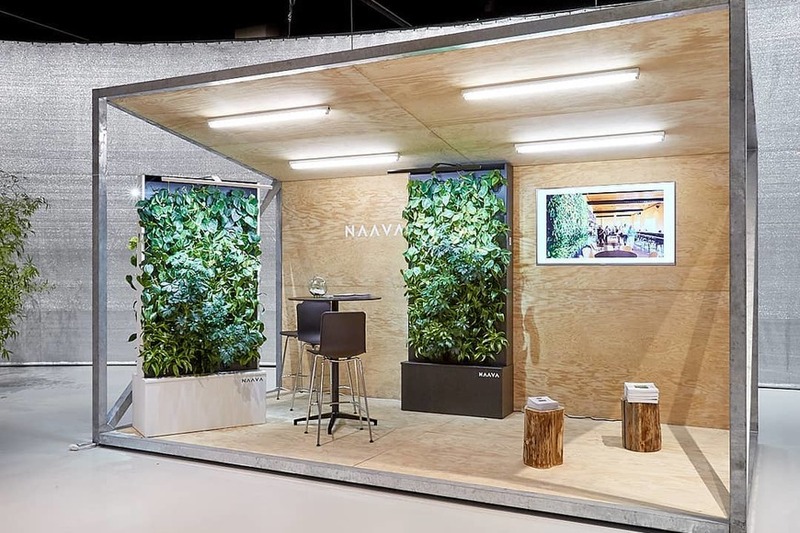 Naava products serve and disrupt three distinct markets: indoor landscaping & green walls, indoor air purification, and office furniture markets. The interior landscaping market is already a $9 billion business (UCLA 2016). The global air purifier market is projected to exceed $29 billion (Techsci Research 2016). The office furniture market is globally expected to grow to a $85 billion market in 2021 (TechNavio 2017). Naava offers an unique solution and new benefits for indoor environments. The product brings together the best sides of air purifiers, humidifiers and green walls. The Naava product offering is globally unique, and the market potential is already tremendous, and will become bigger as more potential customers are made aware of the benefits that Naava can bring. Indoor landscaping and green wall market. In the indoor landscaping market there are potted office plants and “regular” green walls (purely decorative, no real effect on indoor air), active green walls (designed to utilize microbes to clean air actively), but the only intelligent and active green wall (remotely controlled, automated, AI/IOT) that has ample scientific research behind is Naava. 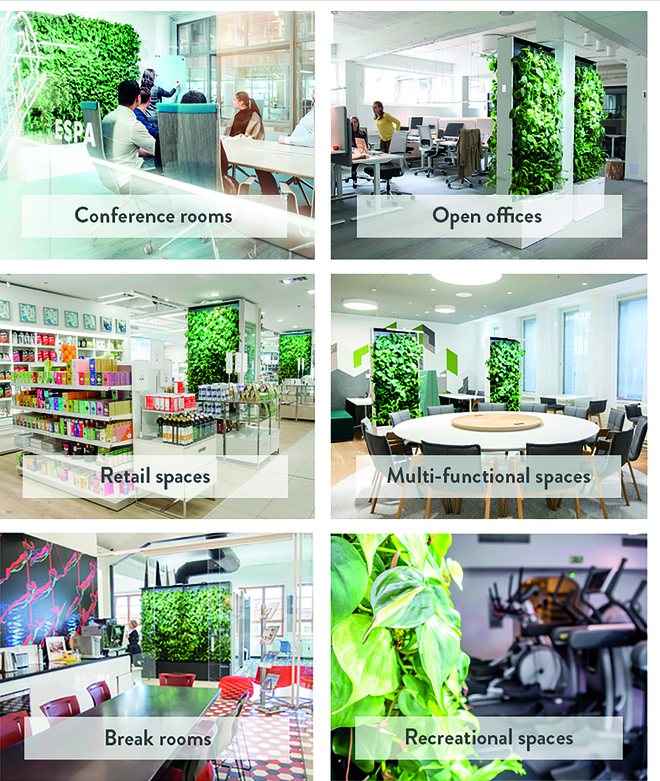 The market opportunity for Naava is to replace current potted plants and decorative passive green walls in the offices with functional, furniture-like, high quality active green wall solutions, with proven indoor air cleaning efficiency and humidity control. Naava products are allergy-friendly, cloud-connected, remotely controlled and fully automated - shortly put, hassle-free and efficient. Indoor air purification market. The traditional indoor air purifiers market is extremely fragmented. On the basis of technology, the HEPA filter segment leads the market. The price range of air purifiers is wide from the entry class range of €100-200 to premium home devices priced at €500-5,000, depending on the market. Professional devices that are comparable with Naava and suitable for large rooms and open offices are typically priced at thousands of euros (e.g. Blueair SWE, IQAir SUI, Oransi USA, and Genano FI). Filter renewals for the HEPA air purifiers cost €50-500 per year. The market opportunity for Naava is to take a share of the existing indoor air purification market with an innovative biological solution that naturally optimises air quality, creating natural air instead of sterile air, is on 24/7 without noise pollution, and balances the indoor humidity by using sensors and AI/IOT and in the same time is pleasurable to look at. Office furniture market. Naava is on the way to become a must-have product in offices and homes, which put wellness in the centre of design. Naava is well-positioned to be the next high-end office furniture, just like adjustable health-enhancing standing desks have become during last 5 years. In addition to naturalizing air, Naava is also a visible sign that wellness exists in the office or home. 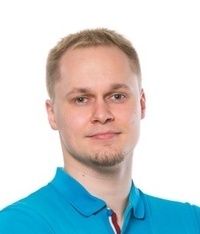 In order to gain a fast ramp up in this segment, Naava is currently learning through benchmarking from another Finnish furniture success story, Framery. VC, CVC & institutional investors include Sitra, Butterfly Ventures, Delos (US), Halton Ventures. 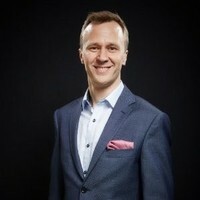 Family Offices & investment companies include Oy Hammaren Co Ab, Metsola Ventures (Jaakko Ollila), Magnolia Ventures (Hannu Turunen), Nordic Business Group, Rascom. Angel investors include Dr. Leena Niemistö, Janne Vertanen, Jasper Pääkkönen, Tapani Kiiski, Juha Paananen. Naava is currently partnering with mission-matched companies, industry influencers and business decision-makers, in Northern Europe, North America and Asia. Naava partner companies include one of the biggest indoor landscaping service companies in the world, Ambius, which has a global network of indoor horticultural specialists in the UK, Continental Europe, the Nordics and North America. 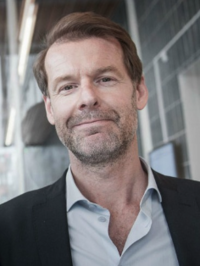 We’ve also partnered with the real estate development company Delos, the creator of the WELL building standard, the biggest office furniture company in the Nordics, Input Interiör, and the biggest facility management company in the Nordics, ISS. Naava is also currently test-driving the Central European market. 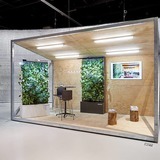 Naava introduced its healthtech furniture innovation at Orgatec in Cologne, Germany in October 2018 together with the world-renowned furniture company Vitra, which also owns Artek. “Digitalisation is changing many industries and enabling disruptive products. 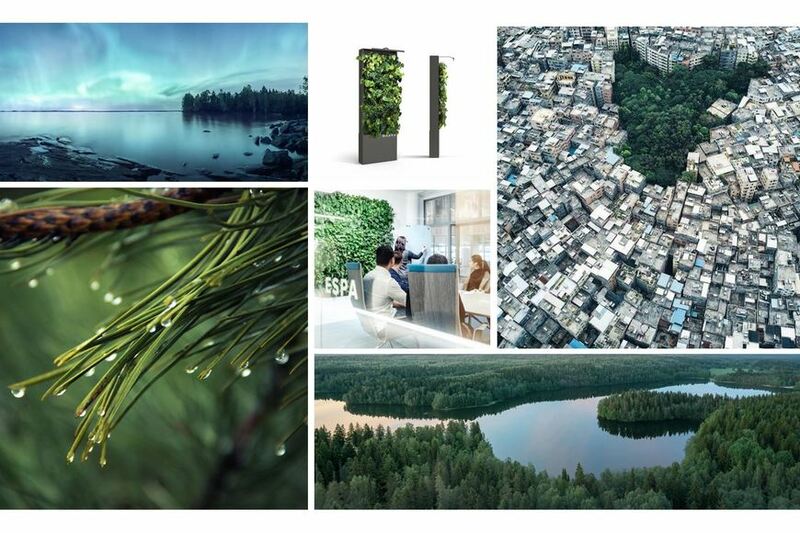 By combining nature with technology Naava is revolutionizing the green interior services with their cloud-connected smart green wall furniture. 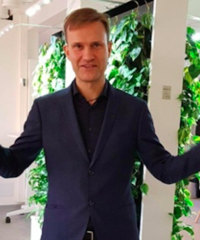 As the global leader in interior landscaping, Ambius shares Naava's vision of creating human-friendly and health-enhancing indoor spaces with the help of nature,“ Stefan Ivarsson, GM at Ambius Sweden. Ambius is a service partner for Naava in multiple countries. 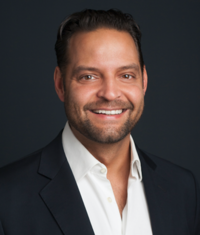 “Through an intense focus on improving indoor air quality, paired with an innovative approach to award-winning product design and modular installations, Naava has established itself as a market leader and industry expert.” Peter Scialla, COO at Delos USA & China, strategic investor since 2016. “Halton’s mission has long been to enable well-being in indoor environments. Naava’s innovative biological indoor air purification is complementary to indoor air technologies and it has remarkable demand and potential in Europe and Asia. With our network and expertise, we want to accelerate Naava’s market entries. 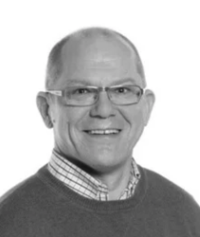 Naava has an excellent team with a clear vision and sound expertise.” Mika Halttunen, Chairman at Halton Group, strategic investor since 2016. “We chose Naava because it’s the only solution for furniture type of modularity, design and functionality. 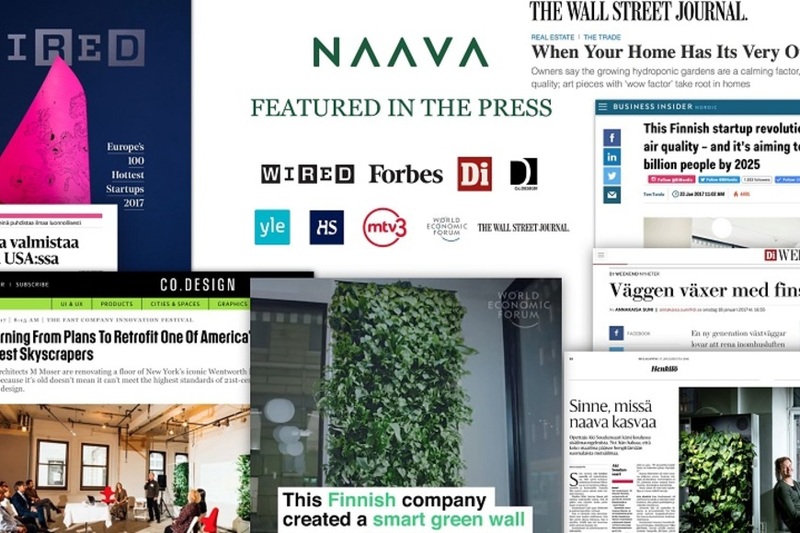 We can have green solutions from anywhere, but Naava’s offering is unique and it is the only green wall in our portfolio.” Mille Milehem, COO, Input Interiör, the biggest independent interior design company group in the Nordics, commercial collaboration partner since 2018. Naava angel investor, 20 years experience in leadership positions at KONE mainly in Asia-Pacific and Middle-East, leading rapid market share growth, specialising in strategy, sales, installation & maintenance business model and working with real estate owners, designers, developers and construction companies. 18 year Wall Street career, most recently as Partner for Goldman Sachs in charge of US Equity Derivatives Trading. During his 8 years in Goldman, he worked closely with leadership in Investment Banking, Private Wealth, and Capital Markets. 15 years of business law experience, he and his family have listed 4 companies in the past decades, such as Fondia. Serial entrepreneur & innovator, business model expert, co-founder and partner, Butterfly Ventures. 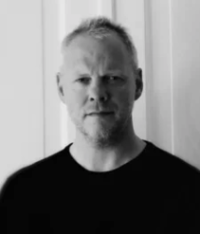 Ex-CEO of Framery, experience in growing a company in the office furniture field from revenue €1M to €40M over four years, successfully exiting to a PE company. 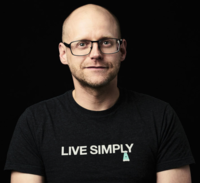 Niko is Naava’s technical founder and a serial entrepreneur & inventor with over 10 years of experience in biological air and water cleaning. 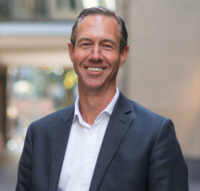 Anders is a seasoned entrepreneur with 30 years experience from corporate finance, investments and fintech, founder at Pepins & Tbricks. Naava Co-Founder & CEO. Personal mission to improve people’s health, happiness, learning and performance. Nominated in Finland as EY's Entrepreneur of the Year (2017), PWC's Most Valuable Entrepreneur (2015) & Young Academic Entrepreneur (2014). 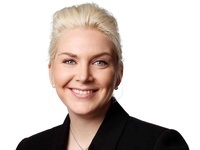 Marketing & sales background at Kesko and Sanoma. Background from sales at Framery and Martela. 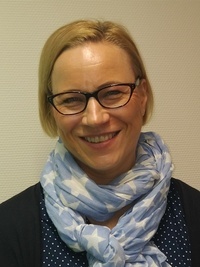 Selected experience: Finance Manager, SKF Group, 2009-17; Group Controller, Keskisuomalainen Plc, 2005-09; Financial Analyst, Tikkurila Plc, 2003-05; Controller, Keskisuomalainen Plc, 2003; Business Area Controller, Tikkurila Plc, 1996-03. Leading marketing roles at Microsoft and Nokia. Extensive background at Management Events. Formerly at Falck, Dagens Nyheter and Aftonbladet.